Fresh Organic Turmeric Root - 4 oz. For cooking it is used in curries. 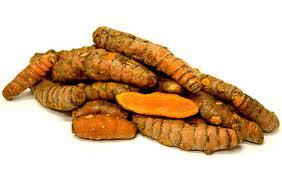 Google "Turmeric Root" and learn what a really fascinating herb this is.